Toilets are not something most people feel can create a room that is special. They feel that a toilet is just that, a toilet. However, the idea behind the TOTO brand of toilets is to give you more than you ever dreamed you could have in a toilet. They are stylish and they are able to make the most boring room in your home, special. 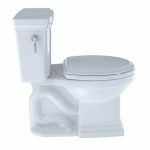 If you are uncertain of how this can be possible, you should check out our TOTO Supreme toilet review. It might just surprise you to find out how great your toilet can be. What Makes the TOTO Supreme Special? 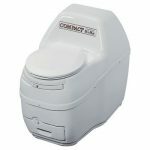 The Supreme toilet, similar to the Toto Ultramax﻿﻿ II, is a very simple but elegant looking toilet. It is designed to provide a very powerful, quiet flush. This is because it uses the power of gravity to eliminate your waste instead of the typical flushing mechanisms that make your toilet noisy. 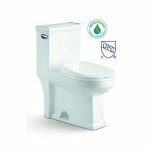 The flush is also very fast due to the fact that it has a 3-inch flush valve instead of the typical 2-inch valves. This means that it is 125% larger. The trapway is also larger than standard toilets. 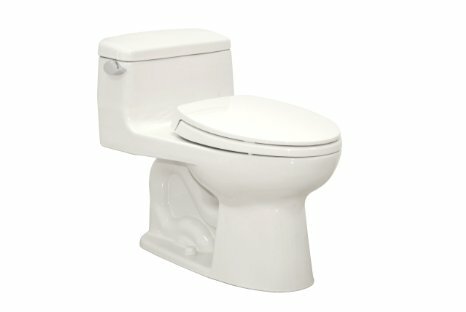 It is 2 1/8” wide and has been computer designed to give you an effective flush. The trapway is also fully glazed with the TOTO patented SanaGloss coating to ensure that your wastewater will never stick to the inside. 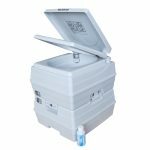 Unlike the 2-piece TOTO Drake, the Supreme is a one-piece toilet that features an elongated bowl so that you have a larger water surface are than round toilets. This is ideal for larger bathrooms and people who want a little more room to sit. 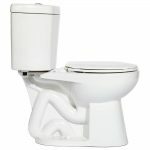 However, if you have a smaller bathroom, you can purchase the Supreme as a r﻿﻿ounded bowl toilet as well. 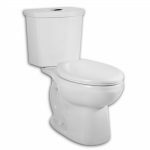 The elongated toilet measures approximately 28 x 17 x 24 inches and weighs 93 pounds. You also have four colors to choose from when considering the Supreme. You may choose cotton white, colonial white, bone, or Sedona beige. This enables you to choose the right color for your bathroom decor. This toilet flushes by using a jet stream of water that pushes out from the front of the toilet bowl. This feature ensures that waste is pushed out of the toilet effectively. 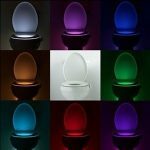 The Supreme toilet is unique in the fact that the toilet lid will never slam down. They are designed to close softly using an innovative smart seat technology. This prevents injury to small children and makes it quieter during the night when you want to avoid the “toilet slam” noises, but do not wish to ease the toilet seat down. This toilet has an overall rating of 4.5 stars. Most everyone claims that it is easy to install, has excellent flushing power, and it is very easy to keep clean. Owners say that it is great to use and works well in their bathroom, even smaller bathrooms. Some people who give it a 5-star rating admit that it does hold some waste and needs to be cleaned weekly. This is because this toilet does not give you a whirling water flow like typical round toilets. 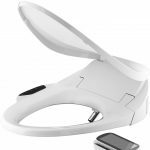 Most owners enjoy the water jet that comes from the front of the toilet, under the rim, to push waste out of the toilet’s trap. Owners say that it prevents clogs and provides an effective, water saving flush. However, some people say that they do not like the ring around the toilet that comes from an elongated toilet and some also say that it is a little noisier than TOTO portrays it to be. Is The Toto Supreme Worth It? 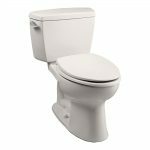 This is a higher priced toilet compared to some others, which means that the TOTO Supreme toilet is not ideal for every home or everyone. However, with an average rating as high as it has, you should definitely consider it a viable option in your home if you want an elongated toilet that functions quietly in the middle of the night. 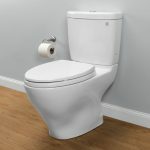 As an added bonus, if you do have issues with this toilet, TOTO is able to provide you with helpful support and replacement parts when they are necessary. Interested in the TOTO Supreme?